Private attorneys are easily getting access to defendants' emails and texts. All it takes is a subpoena, which any attorney can do. John Dean, President Richard Nixon's White House counsel, appeared before the Senate Watergate Committee in 1973. This is the fourth story in our four-part series examining your digital trail and who potentially has access to it. It was co-reported by G.W. Schulz from the Center for Investigative Reporting. Yesterday, we examined your Fourth Amendment rights and how some believe the digital age has weakened them. Today we see how government officials and private attorneys can use your online data in politics and courtrooms. Here's a question for the digital age: If you are one of those people who say, "I've done nothing wrong; I've got nothing to hide," do you have any reason to worry that someone might try to use your digital records against you? We posed that question to John Dean, a man who has become immortalized in U.S. history books as President Richard Nixon's White House lawyer. His answer: "Think about the Nixon Enemies List." "If Richard Nixon were alive today and in office," Dean says, "I'd have great concern about the data that's being collected." Dean says the history of Nixon's Enemies List, which surfaced during the Watergate scandal, shows that even when people have done nothing wrong and think they have nothing to hide, unscrupulous government officials can still dig up personal information and use it to try to smear people. The main Watergate scandal revealed that top government officials committed crimes to help Nixon politically, and Nixon himself took part in the cover-up. But one bombshell that exploded during the Senate's investigation of Watergate was that Nixon's aides had plotted a smear campaign during his first term, and ordered Dean to take part. In a memo for White House staff titled "Dealing with our Political Enemies," Dean wrote: "Stated a bit more bluntly — how can we use the available federal machinery to screw our political enemies." The full list, which included more than 600 people, included journalists whose reporting Nixon didn't like. Others were on it because they had criticized the president or supported liberal causes. According to the White House strategy, government officials would dig up embarrassing information about them, and then administration officials would figure out how to take revenge on them with tactics such as sparking IRS audits and investigations by prosecutors, and messing with federal contracts or grants they might have. Nixon and his aides were caught before the plot could take off. But in 1975, only a year after Nixon resigned in disgrace, investigations revealed that other administrations, both Republican and Democratic, had tried to smear their enemies, too. The Senate intelligence committee reported that the FBI had "conducted almost a million investigations of so-called subversives and extremists over the past 20 years," as the committee's chairman, Sen. Frank Church, D- Idaho, summarized it. "We know that marriages were destroyed, violence was encouraged, and the mass media were manipulated." Of course, all that happened before computers were easily accessible. You don't need computers to dig up dirt on people. But Nixon's former lawyer warns that digital records make it far easier to do. "This digital information is out there," Dean says, "and it is getting collected in enormous heaps that can be mined electronically and digitally, and politically twisted." Julian Sanchez, a research fellow at the libertarian CATO Institute, calls this era "a golden age of surveillance." Before computers, it took a huge amount of time and work to try to find dirt on somebody. For instance, the FBI tried to discredit Martin Luther King Jr. They wiretapped his phones, bugged his hotel rooms, and then had to listen to hundreds of hours of recordings. The Watergate scandal started unraveling after operatives physically broke into the Democratic Committee's headquarters to plant bugs and photograph documents — and got caught. But Sanchez says the computer age lets you find intimate parts of a person's life right in front of you, on a screen. And you can search and analyze it almost instantly, with a few clicks. "There has never been so much data about so many of us so easily available to law enforcement and intelligence agencies," Sanchez says. "Even if it's being used properly now, we are constructing an architecture of surveillance, an architecture that will be in place if and when there comes someone holding power who wants to use that against those he regards as enemies of the country." But analysts like Paul Rosenzweig, former deputy assistant secretary of the Department of Homeland Security, dismiss those fears. After all, he says, why should people fear that the government might misuse their digital records any more than they fear police — whom society has granted the power to arrest and kill? History suggests that government officials will indeed misuse digital records, Rosenzweig says, just as some police have abused their power. "Anybody who denies the U.S. government has made mistakes in the past is a moron," Rosenzweig says. But he says Congress and the courts will figure out how to minimize and punish digital abuses, just as they have handled rogue cops. "Yeah, inevitably somebody's going to do something that we're all going to look [at], and hit ourselves on the forehead, and say, 'My God, how could they possibly do that?' " he says. "And they'll get caught. And we'll fix it." There's another reason besides history to anticipate that your digital records could be used against you: Private attorneys are already getting access to them. They're getting the digital footprints of ordinary people to dig up evidence against defendants, such as cheating spouses. "It's, like, literally the floodgates of data have opened up to us," says Lee Rosen, owner of the Rosen Law Firm, based in Raleigh, N.C.
Rosen says North Carolina and some other states consider private lawyers to be "officers of the court." So attorneys like Rosen and his staff are authorized to issue subpoenas much like prosecutors can. Rosen's employees simply fill out blank subpoena forms on their office computers, print them off and sign them. Rosen says his staff issues "dozens" of subpoenas in a typical month for digital files, including cellphone location logs, bank records, credit card statements, travel reservations, and — Rosen says this is one of his favorite sources of evidence — text messages. He says nothing proves adultery as easily. "Everything is right there in the text messages," says Rosen, "everything from what time we're going to meet and where we're going to meet, to how much we love one another, to what we're going to do or what we did do in a hotel room or in somebody's apartment or the back seat of a car." And if you're thinking that none of this could apply to you, imagine other potential scenarios: a legal battle with your employer, or with an irascible neighbor, or with an insurance company that refuses to pay your claim. Rosen warns that even medical records are fair game for his subpoenas, despite HIPAA (the Health Insurance Portability and Accountability Act), which helps keep medical records private. Under the law, health care providers "may disclose protected health information" in response to a subpoena from an officer of the court — like Rosen — or from law enforcement. "When it comes to family law cases," Rosen says, "everything is relevant." Consider a child custody case he fought last year, in which he represented the mother. She suspected her former husband, the child's father, was having mental health problems. So Rosen subpoenaed all of the man's medical records from his internist and psychiatrist. Those records showed that the father was taking medication commonly prescribed for bipolar disorder, and that he had made negative comments in therapy about his son. Of course, Rosen says, lawyers like him subpoenaed medical and other records, when those files were 8-by-10-inch pieces of paper in manila folders. But he says he can get immeasurably more detailed information, spanning many more years, now that they are in digital form. Spokesmen for Internet giants such as Google and AOL say their companies have sometimes tried to block subpoenas for users' personal information — although they acknowledge that they have turned over digital files in response to many, if not most, requests. But Rosen and other lawyers say executives of smaller companies that receive subpoenas often do not fight them. "The companies generally want to comply with the law in the way that's least expensive to them," says Rosen. "They don't want to have to hire lawyers; they don't want to have to send doctors or other representatives to depositions or court hearings. They just want to give you the records and move on." The Senate Judiciary Committee passed a bill earlier this year that would lay out tougher rules for this new world. Under current law, for example, police and government agencies like the IRS can sometimes get your emails, content and all, with only a subpoena — as long as you've already opened the emails or they're more than 6 months old. The new bill would require probable cause of a crime and a search warrant. So far, the full Senate has not scheduled a vote. Research for this story by NPR's Emma Anderson. 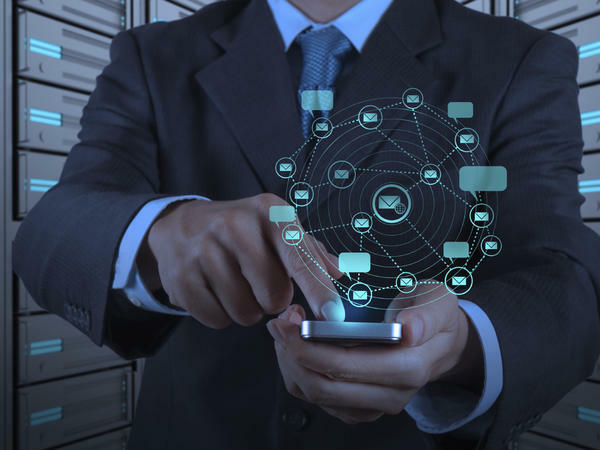 Privacy, it's been in the news a lot lately, after revelations that the National Security Agency collects vast troves of information of Americans' phone calls, email and Internet use. All this week, we've been exploring how people and companies beyond the NSA can track the intimate details of your life. As we reported yesterday, law enforcement - and even private attorneys - can get many of your digital records just by issuing a subpoena, which prompted NPR's Daniel Zwerdling to ask: if you have nothing to hide, should you care? DANIEL ZWERDLING, BYLINE: Here's another way of putting the question. OK, if you really think you've done nothing wrong, then do you have any reason to worry that someone, someday might try to get hold of your digital records and use them against you? We're going to think about that question in two ways. First, let's look at history. I posed our question to John Dean. He used to be President Nixon's White House lawyer. And Dean said think about the Nixon Enemies List. 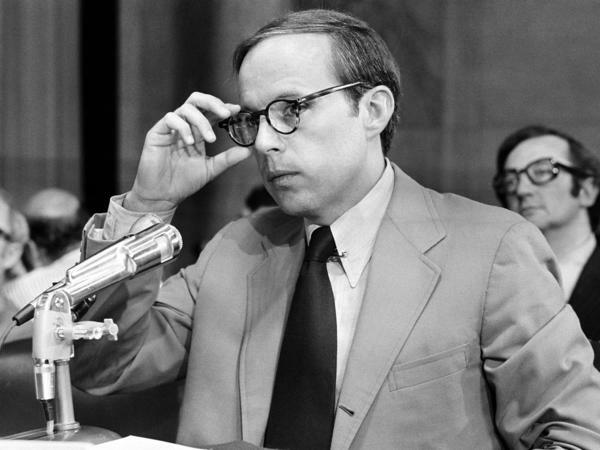 JOHN DEAN: If Richard Nixon were alive today and in office, I'd have great concern about the data that's being collected. ZWERDLING: Dean says the history of Nixon's Enemies List shows that even when people have done nothing wrong, even when they think they have nothing to hide, still, unscrupulous government officials have dug up personal information about them and tried to smear them. Realistically, in the next few years, could government officials use the information in all our digital records to try to smear its political enemies? DEAN: Absolutely could. This digital information is out there and it is getting collected in enormous heaps that can be mined electronically and digitally, and politically twisted. UNIDENTIFIED MAN #1: June 25th, 1973, Washington, D.C., a standing-room-only crowd waits for President Nixon's former legal counsel, John Dean, to testify in front of the Senate Watergate Committee. ZWERDLING: This is from a National Geographic documentary about the Watergate scandal that sank Richard Nixon. Of course, the main part of the scandal revealed how top government officials committed crimes to help Nixon politically. President Nixon helped lead the cover-up and he ended up resigning in disgrace. His top aides went to prison. ZWERDLING: But one part of the Watergate scandal involved Dean and the Nixon Enemies List. It seemed like the whole country watched the Senate hearings where they revealed it. UNIDENTIFIED MAN #2: The committee will come to order and counsel will call the first witness. ZWERDLING: That witness was John Dean. It turned out that Nixon's aides had plotted a smear campaign. Dean wrote a memo for them, titled "Dealing with Our Political Enemies," Dean wrote, quote, "Stated a bit more bluntly, how can we use the available federal machinery to screw our political enemies?" After the Senate committee released the Enemies List, an NBC reporter read some of the names on it. ZWERDLING: There were more than 600 people on the full Enemies List. They included journalists whose reporting Nixon didn't like. Others were on it because they'd criticized the president or supported liberal causes. According to the White House strategy, government officials would dig up embarrassing information about them and then the IRS might audit them or prosecutors might mess with them, basically make their lives miserable. Nixon and his aides got caught before the plot could take off. But only a year after Nixon resigned, investigations showed that other administrations had tried to smear their enemies, too - Republican and Democratic administrations. ZWERDLING: That's CBS News in 1975. The chairman of the committee, Senator Frank Church, said the FBI had destroyed people's lives, illegally. SENATOR FRANK CHURCH: We know that the bureau conducted almost a million investigations of so-called subversives and extremists over the past 20 years. We know that marriages were destroyed, violence was encouraged, and the mass media were manipulated. ZWERDLING: Of course, all that happened in the era BC, right, before computers. You don't need computers to dig up dirt on people. But researchers say digital records make it amazingly easier to do. JULIAN SANCHEZ: This is a golden age of surveillance. ZWERDLING: Julian Sanchez studies privacy issues with the CATO Institute, that's the libertarian think tank. Before computers, it took a huge amount of time and work to try to find dirt on somebody. For instance, the FBI tried to smear Martin Luther King, Jr. They wiretapped his phones, they bugged his hotel rooms, and they had to listen to hundreds of hours of recordings. In the Watergate scandal, operatives broke into the Democratic Committee's headquarters to plant bugs and photograph documents - and they got caught. But Sanchez says the computer age lets you find intimate parts of a person's life right in front of you, on a screen. SANCHEZ: There has never been so much data about so many of us so easily available to law enforcement and intelligence agencies. Even if it's being used properly now, we are constructing an architecture of surveillance, an architecture that will be in place if and when there comes someone holding power who wants to use that against those he regards as enemies of the country. ZWERDLING: Some analysts say stop worrying about it so much. Paul Rosenzweig, you are not worried about all your digital information that's out there. PAUL ROSENZWEIG: Saying that I'm not worried is a little bit of an overstatement. ZWERDLING: Paul Rosenzweig used to be deputy assistant secretary at the Homeland Security Department. Now he advises industry on Internet privacy. He says he agrees, history does suggest that government officials will misuse digital records. ROSENZWEIG: Yeah. Inevitably we will see somebody - somebody's going to do something that we're all going to look and hit ourselves on the forehead, and say, my God, how could they possibly do that? And they'll get caught and we'll fix it. No human system is perfect. And we are going to use all of the systems that we can to minimize the risk. ZWERDLING: OK. So history helps answer our question: is it conceivable that somebody someday might try to use your digital records against you? Today, a television ad helps answer that question, too. UNIDENTIFIED MAN #4: How did our marriage ever come to this? UNIDENTIFIED WOMAN #1: The decision to get a divorce isn't easy. ZWERDLING: Lee Rosen, I hear that divorce lawyers like you are crazy about the Internet and about the rest of our digital world. LEE ROSEN: Well, it's like literally the floodgates of data have opened up to us. UNIDENTIFIED WOMAN #1: Visit Rosen.com to learn more. ZWERDLING: Lee Rosen's law firm is based in Raleigh, North Carolina. He says you might not realize it but North Carolina and some other states consider private lawyers to be officers of the court. So his staff can issue subpoenas a lot like prosecutors can, so they can dig up evidence on people like cheating spouses. Just the other day, Rosen asked his assistant to fill out a new subpoena in a child custody case. ROSEN: So we're going to ask for all the cellular billing and usage statements, right? ZWERDLING: He says they send out dozens of subpoenas every month. ROSEN: Read it to me. UNIDENTIFIED WOMAN #2: Please send any available geolocation, tower or GPS data from 1/1/11 to present. ROSEN: Perfect. Go ahead and print that one for me and I'll sign it and we'll go from there. ZWERDLING: Rosen's staff subpoenas people's bank records and travel records and credit card statements. ROSEN: I sort of think of your credit card as the table of contents of your life. ZWERDLING: And he says text messages are like the whole book. Hardly anything proves adultery so easily. ROSEN: Everything is right there in the text messages; everything from what time we're going to meet and where we're going to meet, to how much we love one another to what we're going to do, or what we did do in a hotel room or in somebody's apartment or the back seat of a car. ZWERDLING: So even in this day and age, with all these media stories about the, you know, what's out there in the digital world, people still don't get it. ROSEN: Yeah, I think there's something about, you know, using your fingers to send the message that doesn't fully engage the brain. ZWERDLING: Now, maybe you're thinking, I've got a great relationship. This would never happen to me. But what if you get into a legal fight with your employer or with an insurance company that refuses to pay your claim? Well, at least your medical records are sacred, right? The HIPAA law protects them, except officers of the court, like Lee Rosen, can subpoena your medical records, too. And he says now that everything is on computers, he can get far more information than lawyers used to get on paper. Rosen had another custody battle a couple years ago. ROSEN: We were representing the mother. ZWERDLING: And she suspected her former husband was having mental health problems. ROSEN: And so we subpoenaed the father's medical records from his internist. And the internist had referred the father to a psychiatrist. So we then subpoenaed the psychiatrist records. ZWERDLING: Now why don't these companies generally fight you? When you issue a subpoena saying I want their medical records, I want their cellphone records, I want their text messages, why don't the companies fight you and say, no, we're not giving it to you? ROSEN: The companies generally want to comply with the law in the way that's least expensive to them. You know, they don't want to have to hire lawyers. They don't want to have to send doctors or other representatives to depositions or court hearings. They just want to give you the records and move on. ZWERDLING: Talk to your family and friends about all this. If national polls are right, they're torn whether they trust the digital world. I asked people a few blocks from the White House. Here are two women who are far apart. Hi, excuse me, guys. Could I ask you something? Do you ever worry about all the information about you out there in the digital world? TAYLOR JOHNSON: I worry about it all the time. My name is Taylor Johnson; I'm from D.C. I'm anti-capitalist and this is a capitalist country. I'm anti-consumerist and it's a consumerist culture. I don't believe in white supremacy and this country runs on white supremacy. ZWERDLING: If somebody wanted to find that out about you, would it be pretty easy to find that on the Internet? JOHNSON: It would be very easy. When I use the Internet, I think about how I'm being tracked. I wonder about it every day. ZWERDLING: But then, talk to Sable Harris(ph). SABLE HARRIS: I am definitely a millennial. I love social media. ZWERDLING: Harris wants people to track her life. She's wearing one of those popular new fitness bands on her wrist. It looks like a plastic bracelet that commemorates something, but it keeps track of practically everything she does 24 hours a day. So here's a bar graph. This is showing how you slept last night? HARRIS: Yes. I got four hours and 21 minutes of light sleep, three hours and six minutes of deep sleep. I fell asleep in 16 minutes. I was in bed for eight hours and 10 minutes. ZWERDLING: And when Harris plugs the band into her smartphone, it downloads all her data on the Internet, so her friends can check out her vital statistics and compare them with their own. HARRIS: How they move, how they sleep. ZWERDLING: Harris says when she stops and thinks about it, she can imagine that maybe, maybe information like that could come back to haunt you. Some privacy specialists wonder about those fitness bands. Suppose you're in a car accident. What if your auto insurance company learns from your bar graphs online that you hadn't slept the night before the crash and they refuse to renew your policy? HARRIS: It's better to not really think about every little piece of data you share. Otherwise, you'll just want to live under a rock and not come out. ZWERDLING: An influential Senate committee passed a bill earlier this year that would lay out tougher rules for this new world. Under current law, the police and government agencies like the IRS can sometimes get your emails, content and all, with only a subpoena, as long as you've already opened them or they're more than six months old. The new bill would require probable cause of a crime and a search warrant. So far, the full Senate has not scheduled a vote. Daniel Zwerdling, NPR News. BLOCK: Our story was co-reported by G.W. Schulz of the Center for Investigative Reporting and researched by NPR's Emma Anderson. Transcript provided by NPR, Copyright NPR.